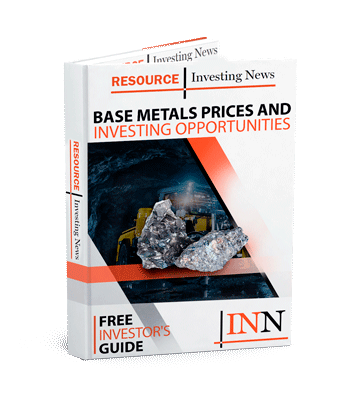 The Canadian company has released a revised resource estimate that drastically improves the numbers for the Pegmont lead-zinc project. The asset is currently undergoing a preliminary economic assessment. Canadian junior Vendetta Mining (TSXV:VTT) has released the results of an updated mineral resource estimate for its flagship advanced-stage Pegmont project in Queensland, Australia. In the Thursday (August 9) release, the company boasted that there was a significant increase in the indicated mineral resource for sulfides from 1.6 million tonnes to 4.6 million tonnes grading 6.9 percent lead—or a whopping 187 percent jump. The project now has a total mineral resource of 5.8 million tonnes indicated and 8.3 million tonnes inferred. The report also included a maiden mineral resource for the Bridge zone at the project, with an indicated resource at 560,000 tonnes grading 9.5 percent lead, 2.5 percent zinc and 15 grams per tonne (g/t) of silver, and an inferred resource of 309,000 tonnes grading 8.7 percent lead, 2.5 percent zinc and 14 g/t of silver. The new estimate will form the basis of the project’s preliminary economic assessment (PEA), which is due for completion in coming weeks. President and CEO of Vendetta Michael Williams said the mineral resource update achieved the goals that were set at the start of the 2017 drilling program. “We are excited to deliver on four fronts; an overall increase in the mineral resource at a higher grade, a maiden resource on the 2017 high grade underground Bridge zone discovery and a significant increase in confidence of the open pit constrained mineral resource, which is now at 54 percent indicated,” he said. One of Vendetta’s neighbours in the region is South32’s (ASX:S32) Cannington silver-zinc-lead mine, which produced 31,400 tonnes of lead in the June quarter, along with 12,500 tonnes of zinc and 4,234,000 ounces of silver. On the London Metal Exchange, lead is trading at US$2,130 a tonne, while zinc is valued at US$2,655. Meanwhile, Vendetta was trading at C$0.2 on the Toronto Venture exchange, up 2.56 percent as of 2:30 p.m. EST on Thursday. Image courtesy of Vendetta Mining.